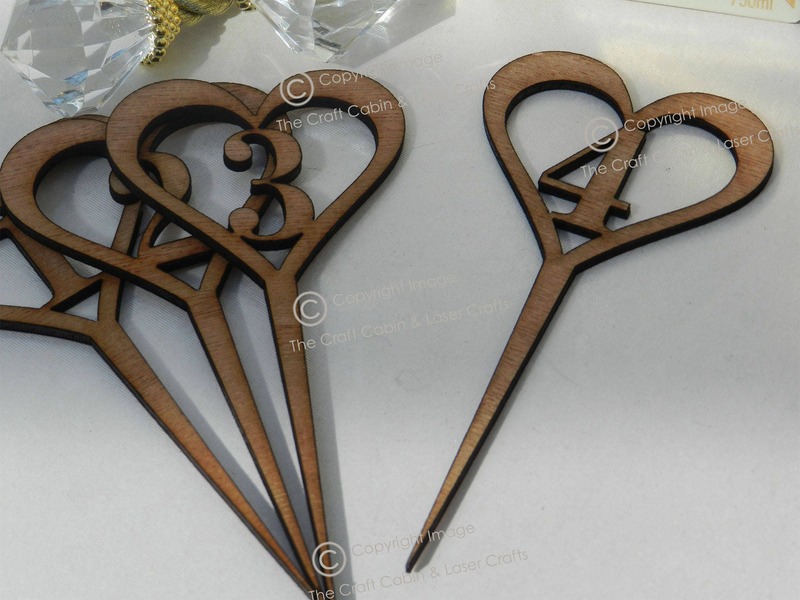 · Beautiful vintage-style, laser-cut, number inside a heart, wooden Table Numbers Picks. Can be used in a variety of ways, simply add to table decorations: eg: jars, vases, flowers, cakes etc. · Suitable for: weddings, valentines, anniversary's, parties, etc. 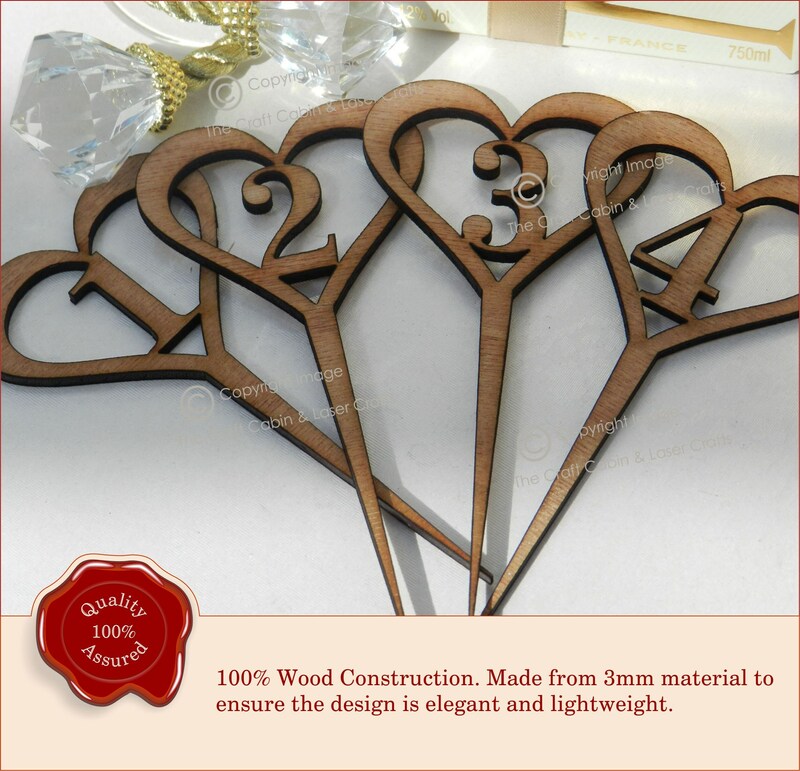 · Laser-cut & engraved, using high quality 3mm depth hardwood plywood. 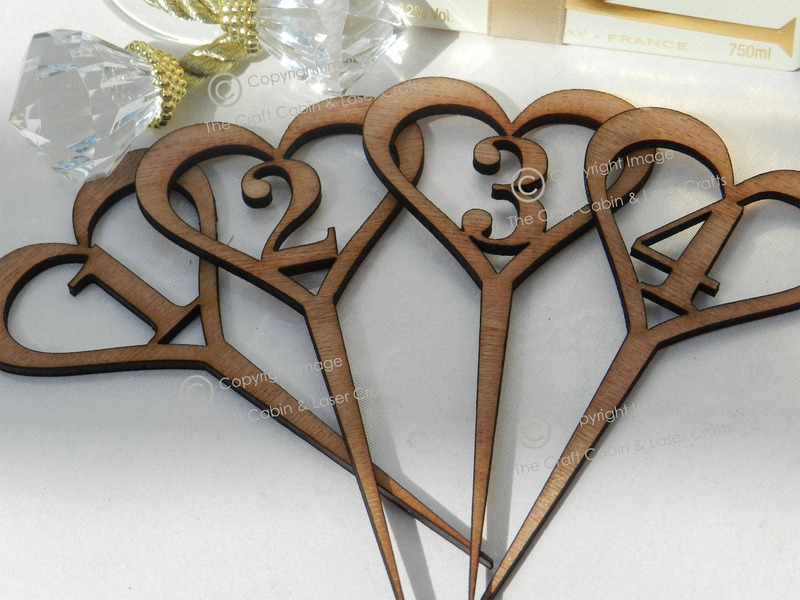 · Each Table Number is cut with a numerical number, in a simple heart design. Please note* all our table numbers are made to order, so please allow approx 5 workings days for us make. your goods within 5-7 business days.